The idea of creation of web-club originated in 2010. For some time we did not dare to undertake its implementation, because we had the question: do we have the knowledge, experience and skills for doing website at chess and checkers theme? However, sharing the idea of creating web club, we found support in the face of different people. They helped in the beginning of our work and continue to help now. It is them we dedicate this section. We are very grateful for Your support, assistance and active participation in the development of web-team. The master of FIDE in chess, the honored trainer of Ukraine, has a trainer’s experience more than 30 years. Is the practicing trainer, among his present pupils acting prize-winners of the country of various age groups, such as: Andrey Levitsky, Olga Ivanenko, Vladislav Larkin and many others. Closely I cooperated with such known athletes as: Natalia Zhukova (international grand master, member of the women’s national team of team of Ukraine, winner and prize-winner of various international competitions), Zoya Lyalchuk (international grand master, member of the women’s national team of team of Germany, winner and prize-winner of various international competitions), Ekaterina Rogonyan (international grand master, member of the women’s national team of a team of the USA, winner and prize-winner of various international competitions), Victor Moskalenko (international grand master, winner and prize-winner of various international competitions). Valery imparts experience with us in author’s articles with which you can will examine on pages of our site. The deputy director for educational and sports work of the Crimean republican out-of-school educational Institution “Chess and Checkerboard Sports School for Children and Young People”, the master of FIDE in chess, has 20 years of a pedagogical experience, conducts trainer’s practice. Natalia author of the program of a special course: “We study, playing chess” for pupils of the first and second classes of general education educational institutions of the Autonomous Republic of Crimea”. 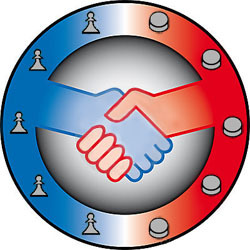 Member of presidium of chess and checkerboard federation ARE Crimea, chairman of the trainer’s commission of chess and checkerboard federation ARE Crimea. On site pages Natalia shares with us the practices, professional knowledge in the articles, and also gives methodical help. In 2014 I finished with a gold medal school No. 28 of Simferopol (Crimea). From the 7th class Dmitry repeatedly was the prize-winner of school and city office of Small academy of Sciences in section of the information scientist, protected works on a subject: “Animation creation”, “Creation of animated films”, “Development of games”, “Creation of 3D graphics”. In 2010 the participant of the All-Ukrainian Olympic Games on a robotics (independent collecting the robot and writing of the program for it). Dmitry actively cooperates with us on an extent of 4 years. He is the developer of the game “Chess Country”. The founder of a series of the training animation lessons written on the program of a special course for the first classes of comprehensive schools of the Autonomous Republic of Crimea “We study, playing chess”. Copyright is acquired for this special course. Dmitry shares with us the author’s development which you can examine on pages of our site. The international master in chess, the honored worker of physical culture and sport of the Autonomous Republic of Crimea, the qualified judge, has a rank of the international arbitrator on chess. Vladimir is engaged in trainer’s work 24 years. It brought up such known grand masters as Adam Tukhayev, Yury Ayrapetyan, Diana Arutyunova, Anna Zozulya, Nikolay Papenin; international masters: Maxim Pavlov, Alexander Truskavetsky, Ilya Deryabin and it is far not the complete list. Vladimir advises in synthesis of trainer’s experience of groups of basic preparation and sports improvement, and also rendered us assistance in creation of an information field. The candidate for the master of sports on checkers-64, repeated the prize-winner of republican and All-Ukrainian competitions, the judge of the first category, the coach-teacher on checkers of the second category, has trainer’s length of service more than 15 years. Marina gives methodical help in scope of checkerboard sports, and also imparts the trainer’s experience. Marina Igorevna is fond of photoart and often helps us with processing of photos for a site.